Keeping the track of latest happening in this domain, we have been able to manufacture and supply a wide range of the finest quality of Rectangular Pickling Tanks. Rendered by us at competitive prices, the offered FRP rectangular pickling tanks are known for their resistance to leakage. For the purpose of meeting the precise needs of our customers, we offer these rectangular pickling tanks in various storage capacity and specifications. Recognized for the manufacturing and supplying a broad collection of Air Pollution Control Equipment & Reinforced Pipes, we, Shree Fibre Glass, were founded in the year of 1999. 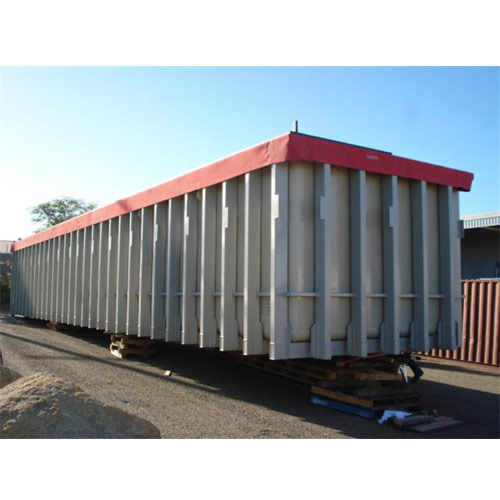 Our offered array consists of Industrial Storage Tanks, Air Pollution Control Equipment and Roof Sheets. These products are manufactured with utmost precision at our ultra-modern manufacturing unit by considering only quality approved basic material as per the set industry norms and standards. Our provided products are highly demanded and appreciated by our clients due to their correct dimensions, flawless finish and longer service life. We are offering these products at pocket friendly prices for our customers. To satisfy our customers in most prominent manner, we are offering them quality assured product range as per their needs and demands. We are manufacturing these products with the help of progressive tools and technology with utmost precision. Apart from this, post manufacturing these products is passed through stringent quality tests under the assistance of our quality experts. We have also developed a huge distribution network across the nation to deliver the offered products safely at client’s premises within the promised frame of time. Leveraging to our quality assured products, we have developed a huge clientele across the globe. Plot No. F- 55, Anand Nagar, Addl. Ambarnath Indl. Estate, M.I.D.C. Ambarnath East.